Correct use of unlisted CPT codes is one of the more confusing aspects of CPT coding for both coders and physicians alike. Although unlisted codes are used only when no code exists to accurately describe a procedure or service, these codes serve an important purpose. With advancements in medical science, including new procedures, technology, and devices, there can be an 18- to 24-month delay before the CPT code set is expanded to reflect changing medical practice. For example, a few years ago, procedures such as contrast-enhanced ultrasound and elastography were reported using unlisted codes because more specific codes did not yet exist. Unlisted CPT codes help expedite and finalize the coding, billing, and reimbursement processes in situations where an unlisted code is the only option for reporting certain services or procedures performed by the provider. What is the definition of an unlisted CPT code and in what circumstances are unlisted codes reported on a claim? According to the American Medical Association's CPT 2018 Professional Edition, coders should select the CPT code that accurately identifies the procedure or service performed, not a CPT code that merely approximates the service provided. If a precise code does not exist, then selection of an unlisted code is the correct option. The guidelines state that coders should choose from specific code numbers designated for reporting unlisted procedures: "Each of these unlisted procedural code numbers (with the appropriate accompanying topical entry) relates to a specific section of the book and is presented in the guidelines of that section. In some cases, alternative coding and procedural nomenclature as contained in other code sets may allow appropriate reporting of a more specific code. CPT references to use an unlisted procedure code do not preclude the reporting of an appropriate code that may be found in other code sets." Clearly, coders must have an in-depth understanding of current coding guidelines and engage in regular, ongoing education to stay abreast of updates and changes to the code sets. Coders can code only what is documented in the medical record, making accurate and complete physician documentation critical to accurate coding, reimbursement, and performance reporting. With unlisted CPT codes, the stakes are even higher. Unlisted codes face greater scrutiny by payers, so claim denials are common. In most cases, missing or inadequate documentation is the culprit. Incomplete documentation can lead to more frequent use of unlisted codes; precise documentation, on the other hand, enables greater specificity in code selection. Coders should carefully review any unlisted codes initially selected by the provider to ensure the procedure or service does not have a current CPT code or, when necessary, review the documentation for missing or incomplete information. the number of times the service was provided. When submitting supporting documentation, coders should designate the portion of the report that identifies the test or procedure associated with the unlisted procedure code. All supporting information must be legible and clearly marked. 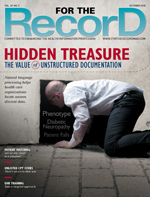 For specialties, health care providers should submit specific documentation to support unlisted codes. Is it appropriate to use modifiers with unlisted CPT codes? Medical modifiers are codes that can be used by the reporting health care provider to indicate a service or procedure has been performed but has been changed in some way to meet the patient's specific needs. In this situation, the definition or code for the procedure or service remains the same but the modifier is amended to the code to reflect the change in execution of the procedure or service. Because they eliminate the need for extensive procedure or service listings that describe all possible modifying circumstances, modifiers are an essential tool in CPT coding. However, claims that include heavy use of modifiers face increased compliance scrutiny. Incorrect use of modifiers can lead to claim denials, risk of audits, and, ultimately, lost revenue. Is it appropriate to append a modifier to an unlisted CPT code? The answer is no. Modifiers exist solely to amend a specific and established definition of a procedure or service. By their very nature, unlisted CPT codes are undefined; amending them with a modifier will not make them any more specific. Clear guidance for this situation is provided by the American Medical Association's CPT Assistant: "Because unlisted codes do not include descriptor language that specifies the components of a particular service, there is no need to 'alter' the meaning of the code." A common question from the provider community is how to avoid denials when an unlisted code must be used. When filing claims with unlisted codes, keep in mind that an initial description for the unlisted procedure can be submitted electronically as part of Item 19 on the CMS-1500 claim form or electronic equivalent. The electronic equivalent for Item 19 on electronic media claim submissions, which hold up to 80 characters, should include a concise statement and description of the unlisted procedure code. If the description does not fit in Item 19, providers who submit paper claims should describe the services in an attachment. When filing claims for two or more procedures using the same unlisted CPT code, report the unlisted code only once. Even when providing this level of detail, it may not be enough information for the insurance carrier to make a payment determination, possibly triggering a denial and a request for additional documentation. As noted, specific documentation supporting the selection of unlisted codes is crucial for payment justification. Most payers have policies and procedures governing unlisted codes—be proactive in contacting them for this information. Requirements can differ from payer to payer, making it important to understand the differences before submitting claims. Specific instructions for reporting unlisted codes are available on payer websites. However, avoid contacting an insurance carrier to "predetermine" whether an unlisted procedure will be covered. No determination can be made before the payer has had the opportunity to review the final claim and documentation after the procedure or service has been performed by the health care provider. Also, many payers will set dollar thresholds for reviewing claims with unlisted codes. If the claim is denied, be prepared to resubmit the claim along with supporting documentation for review. Note that Medicare will cover an unlisted CPT code provided the appropriate documentation has been submitted. While unlisted CPT codes require additional documentation and careful review, they can be helpful in the right circumstances. Use them wisely—no modifier needed. — Karla VonEschen, CPC, is an ambulatory coding analyst for 3M Health Information Systems.